Rose M. Schmit, 99, of the Harbor Cove in Port Washington, Wisconsin died Saturday, October 18, 2008 at her residence. 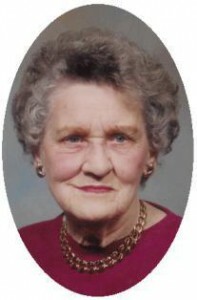 She was born April 3, 1909 in Random Lake, Wisconsin to Jac and Anna Hubing Depies. She grew up on the farm in Random Lake and later married Louis J. Schmit on September 7, 1935 in Random Lake. They lived at 731 N Montgomery Street in Port Washington for over 50 years and later she moved to N Benjamin Street for 13 years and recently moved to the Harbor Club and Harbor Cove. Her husband Louis preceded her in death December 13, 1984. Rose was a homemaker and assisted her husband with bookwork for his business, the former Schmit Household and Appliance on N Franklin and E Pier Streets for many years. She was also active with St. Mary’s Church in Port Washington, enjoying daily Mass and the Christian Women. She was a member of the former St. Alphonsus Hospital Auxilary until it closed. She enjoyed baking, tending to her flowers, playing bridge and sheepshead. She is survived by her children Charles (Marilyn) Schmit of Port Washington and Suzanne (Robert) Richard of Suamico, Wisconsin. Further survived by daughter-in-law Suanne Schmit of Fond du Lac, Wisconsin, 9 grandchildren Debbie (Dave) Murphy, Linda (Chuck) Mabraten, Jeff (Jane) Schmit, Mike (Kim) Schmit, David Schmit, Steve (Tracy) Schmit, Kelly (Renee) Rust, Amy (Sean) Mika and Nick (Monique) Richard, 16 great grandchildren, 1 great great grandchild, other relatives and friends. She is preceded in death by her husband Louis, son Richard, sisters Loretta Huiras and Elfrieda Becker and brothers Henry, George and Alfred Depies. Rev. Tom Lijewski will celebrate Mass of Christian Burial 6:30 pm Wednesday, October 22, 2008 at St. Mary’s Church, 430 N Johnson St. Port Washington. Interment parish cemetery. Visitation 4 – 6:30 pm Wednesday AT CHURCH with a 4 pm Rosary. Memorials to St. Mary’s Church appreciated.